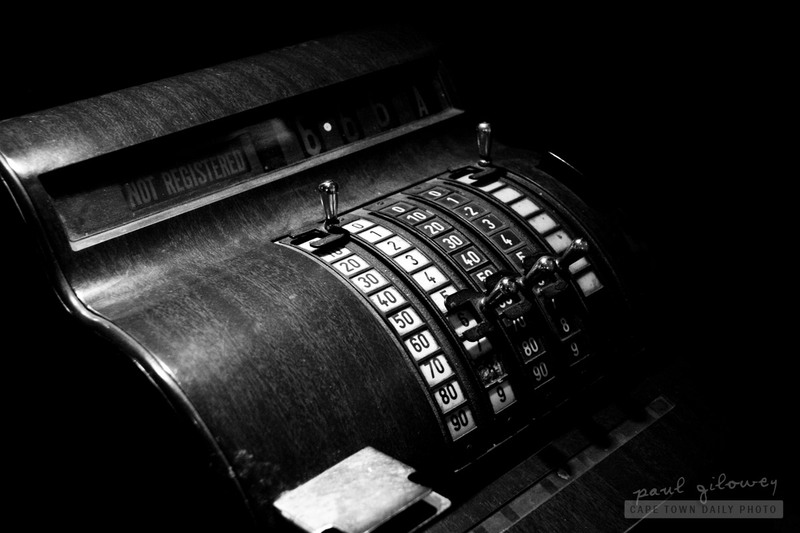 Imagine if modern supermarkets still used cash registers like this one. Imagine how slow the queue would be and long you'd have to wait while dozens of items in large shopping trolleys are rung up by the careful moving of sliders. Posted in General and tagged antiques on Friday, 29 July, 2011 by Paul. 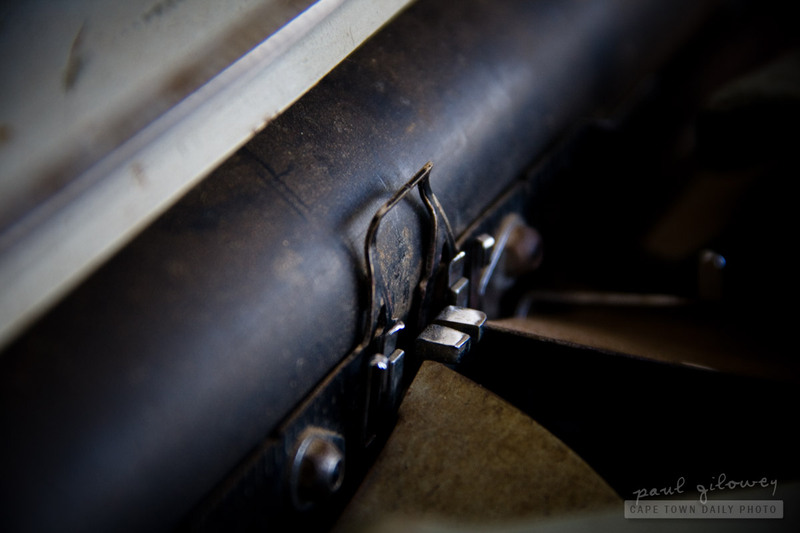 These are the keys from the typewriter shown in yesterday's photo. I'm so use to using my laptop's low-profile, easy-touch keyboard that I get solidly frustrated using a regular computer keyboard. Imagine how difficult it is typing on this one! I've tried, and believe me it's certainly no fun. 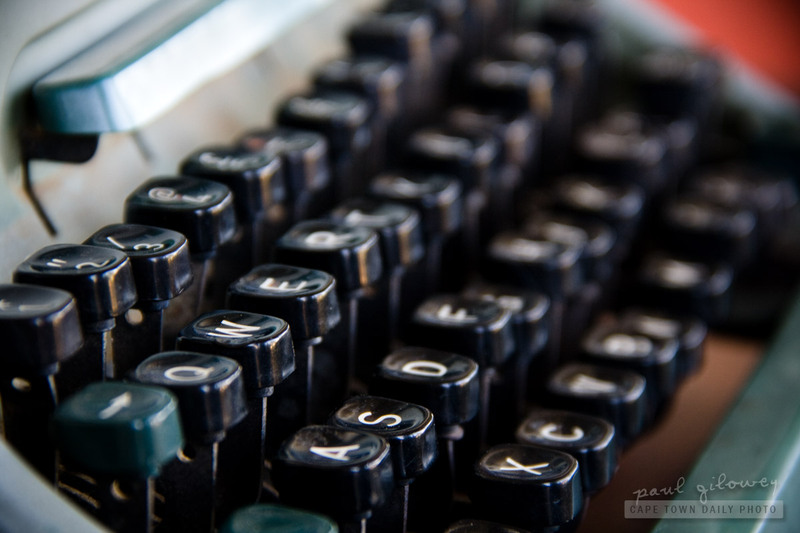 Do you think that some day we'll look back at our then-antiquated laptop keyboards and wonder how we ever managed? Posted in General and tagged antiques on Saturday, 16 July, 2011 by Paul. Did you immediately recognise the item in the photo? Better yet, have you used one of these before? All over South Africa you'll find little gems like this used as decoration. 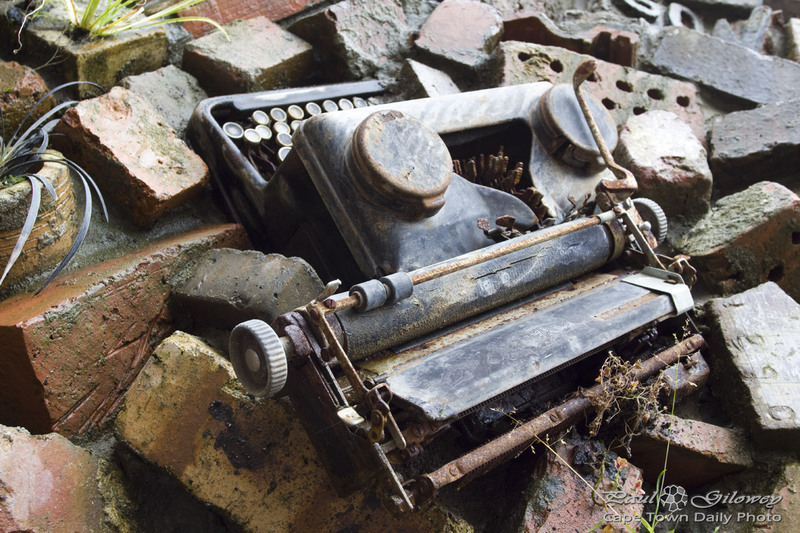 I found this particular typewriter on the patio of the Royal Hotel in Riebeek Kasteel. Posted in General and tagged antiques on Friday, 15 July, 2011 by Paul.